FARO IZQUIERDO NISSAN NISSAN LEAF Acenta 05.13 - 12.18 año 2016 EM57 261853NL0A L90030068 EXTENSION DE FARO SJNFAAZE0U6 EXTENSION DE FARO Código interno:4120470. Delfin card. Nós podemos verificar isso. For Sale is an N/S Passengers Left Front LED Headlight Headlamp. Part Number: 26060-3NM5A. Removed from a 2015 NISSAN LEAF 5 Door Hatchback. Please see the item description for more information, you will receive everything you see in the images. For Sale is an N/S Passengers Left Rear Taillight Tail Light. Part Number: 265553NL0B. Removed from a 2016 NISSAN LEAF 5 Door Hatchback. LEAF 2010 -2017 Mk1 (ZE0) Left Taillight. Car Colour Red. Trim ACENTA. Nissan Leaf 13-. Nissan X-Trail. mit entsprechenden E-Prüfzeichen. Erstausrüster Qualität. Typbezeichnung: T32. passend für. Nissan Ref Number - KE5403N080. We are a main dealer for our franchised vehicles. Rückleuchte Rücklicht Heckleuchte. Original Nissan Leaf (ZE0) Bj.2010-2017. in eingebauten Zustand nicht zu sehen. links (Fahrerseite). gebraucht, mit Lampenträger, LED`s geprüft. For Sale is an O/S Drivers Right Rear LED Taillight Tail Light. Part Number: 225503NL0B. Removed from a 2017 NISSAN LEAF 5 Door Hatchback. LEAF 2010 -2017 Mk1 (ZE0) Right Taillight. Car Colour Black. For Sale is an N/S Passengers Left Rear LED Taillight Tail Light. Part Number: 265553NL0B. Removed from a 2017 NISSAN LEAF 5 Door Hatchback. LEAF 2010 -2017 Mk1 (ZE0) Left Taillight. Car Colour Black. NISSAN LEAF. Modell Leaf. Nissan Juke. Nissan X-Trail T32. Año de construcción: 11 / 10-. Fahrzeugmarke Nissan. Año: 06 / 10-. Einbauposition Mitte. Nissan Leaf Hatchback 2011-> models. This is for the Passenger Side N/S. 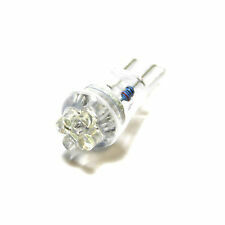 This takes the following bulb H8 P13W but does Does Not Include Bulb Or Bulbholder. To the best of our knowledge all the parts were in a working condition before being removed from the vehicle. Part Number : 045167. The close fit between these products adds genuine value to driving and parking by allowing motorists to use new functions. In this way, Valeo makes the very latest drive and park assistance technology on the market much more accessible. 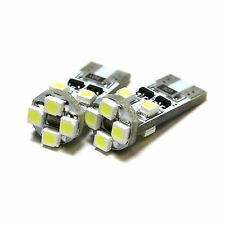 For Sale is a Ichikoh LED Transformer Headlamp Ballast. Part number: A1M130-0000. Removed from a 2016 NISSAN LEAF Electric 5 Door Hatchback. Please see item description for more information, you will receive everything you see in the images. Manufacturer Part Number 045167. Valeo ofrece una amplia gama de sistemas de conducción y de asistencia de estacionamiento avanzadas. El estrecho ajuste entre estos productos aporta un valor añadido real para conducir y estacionar al permitir que los automovilistas a utilizar nuevas funciones. Nissan Leaf desde 02/2013 en adelante. Faro delantero izquierdo (lado conductor). Barras de techo. Cofres de techo. Para mayores detalles refierese aCondiciones de Venta. Notifíquenoslo en los 5 días laborables siguientes a su recepción para que podamos solucionar el problema. Nissan Leaf desde 02/2013 en adelante. Faro delantero derecho (lado pasajero). Notifíquenoslo en los 5 días laborables siguientes a su recepción para que podamos solucionar el problema. Cofres de techo. LUCES DE NIEBLA DE LA HOJA DE NISSAN '12> PIONERO '14> H8 CON LUZ DE DÍA. GRAN BRETAÑA: BT, JE, ZE. PORTUGAL: MADEIRA, AZORES (9000-9399, 9400-9999). FRANCIA: CÓRCEGA (20000-20999). NISSAN LEAF 2013 -ON PASSENGERS INDICATOR REPEATER. Isle of Wight, Isle Of Man, Channel Islands, Northern Ireland, Isles of Scilly. THIS INDICATOR LIGHT IS A USED PART. 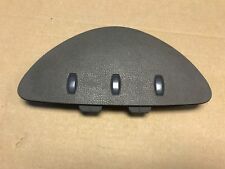 THIS IS A GENUINE NISSAN PART. Indicador delantero derecho NISSAN leaf a partir de 2013. Indicador delantero derecho (lado del pasajero) para NISSAN leaf a partir de 2013. Había superado ese periodo ya no traer las prácticas de compensación. For Sale is a N/S Left Front Fog Light Fog Lamp removed from a 2015 NISSAN LEAF 5 Door Hatchback. Please see the item description for more information, you will receive everything you see in the images. DEJÓ LA HOJA DE NISSAN FARO DELANTERO H4 2013 >. ORIGINAL VALEO DE PRODUCTO. MPN FANALE ANTERIORE PROIETTORE ORIGINALE 45164. GRAN BRETAÑA: BT, JE, ZE. PORTUGAL: MADEIRA, AZORES (9000-9399, 9400-9999). PRODOTTO ORIGINALE VALEO. FRANCIA: CORSICA (20000-20999). 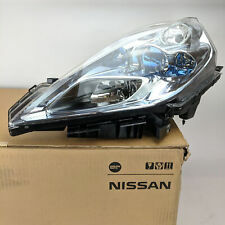 LED de luces de día ejecutando Nissan Leaf Bombillas Drl P13W 600lm + Led De Luces De Niebla!!! DERECHO HOJA DE NISSAN FARO DELANTERO H4 2013 >. ORIGINAL VALEO DE PRODUCTO. MPN FANALE ANTERIORE PROIETTORE ORIGINALE 45165. GRAN BRETAÑA: BT, JE, ZE. PORTUGAL: MADEIRA, AZORES (9000-9399, 9400-9999). Nissan Leaf dal 02/2013 in poi. Proiettore anteriore destro (lato passeggero). Se la causa della restituzione è imputabile al Fornitore l'uso del Servizio di Reso è gratuito. I nostri prodotti. Condizioni di vendita. Nissan Leaf dal 02/2013 in poi. Proiettore anteriore sinistro (lato guida). Se la causa della restituzione è imputabile al Fornitore l'uso del Servizio di Reso è gratuito. I nostri prodotti. Condizioni di vendita. FARO DESTRO H4 NISSAN LEAF 2013>. PRODOTTO ORIGINALE VALEO. FRANCIA: CORSICA (20000-20999). FARO DESTRO H4 NISSAN LEAF 2013>. PRODOTTO ORIGINALE VALEO. FARO SINISTRO H4 NISSAN LEAF 2013>. PRODOTTO ORIGINALE VALEO. Nissan Leaf dal 02/2013 in poi. Proiettore anteriore sinistro (lato guida). BRT - Bartolini. Year/Model: 2013-2017 / Nissan Leaf. Parts may have small marks from storage and handling. The parts must be sent back in the original condition. Nissan Leaf dal 02/2013 in poi. Proiettore anteriore destro (lato passeggero). BRT - Bartolini. FARO SINISTRO H4 NISSAN LEAF 2013>. PRODOTTO ORIGINALE VALEO. FRANCIA: CORSICA (20000-20999). Faro izquierdo para NISSAN leaf a partir de 2013. Izquierda del faro (lado del conductor) para NISSAN leaf a partir de 2013. NOTA: La foto del anuncio es indicativa del producto vendido. Si se estipula que elegir el lado derecho o izquierdo, se refieren a lo que está escrito en la descripción. Indicador delantero derecho NISSAN leaf a partir de 2013. Indicador delantero derecho (lado del pasajero) para NISSAN leaf a partir de 2013. NOTA: La foto del anuncio es indicativa del producto vendido. 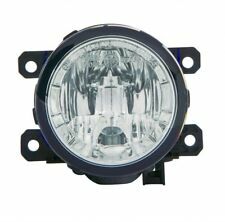 LEFT = RIGHT HALOGEN FOG LIGHT NISSAN LEAF 2010-. Top product - one year warranty! We are here to help you and certainly always to do it! Suitable bulbs: H8/P13W. Manufacturer: TYC.